The brilliant Matt Harding has written a stunning soundtrack for High Tide. We can't wait for you to hear it. However, in addition the following singer / songwriters will also feature in the film. All of them impressed us with the quality of their work and although we are not going to give away the exact songs we are using (you will have to see the film to find them out) here is a little bit about each one of them with links to their work. Circe's Diner are a four piece from Bristol who make gorgeous music. They combine a folk sensibility with a tinge of Americana. They also deliver great harmonies. AND HEAR THEM ON SOUNDCLOUD. AND TWEET THEM ON TWITTER. Natalie is from Bristol and has released three EPs, all of which are available from iTunes. She has toured extensively and after a successful trip around the country in October UK she is now back in the studio working on new material. We are delighted that one of her songs will feature in High Tide. Rachael is also from Bristol and makes gorgeous folk music influenced by cultures all over the world. 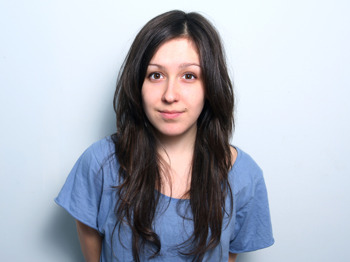 Her work is regularly featured on BBC 6Music with Lauren Laverne counting herself as a committed fan. She has been described as "an artist set to define the genre". You can buy her music on iTunes or from Bandcamp. You can visit Rachael's website here. Or her Soundcloud page here. Or follow her tweets on Twitter here. Rebecca is originally from South Wales but now based in London as a full time singer-songwriter working with artists such as The Overtones, Marcella Detroit, Katherine Jenkins and more and we are very excited about the song she has written especially for High Tide. You can hear some of her work on Soundcloud. Ryn is from the glorious city of Exeter in Devon. She is a singer/songwriter of poise and power and we are very happy to have her on the High Tide soundtrack. You can hear her work on Reverbnation. Ellie is from Cardiff and her music has been played on Radio 2. You can also buy her debut EP from iTunes. You can visit Ellie's website here. You can see her Facebook page here.